When I descended the stairs to the lower level of the Louvre's Islamic Art Wing, I immediately was drawn to several massive mosaic floor panels, a decoration common in Turkey and Morocco. 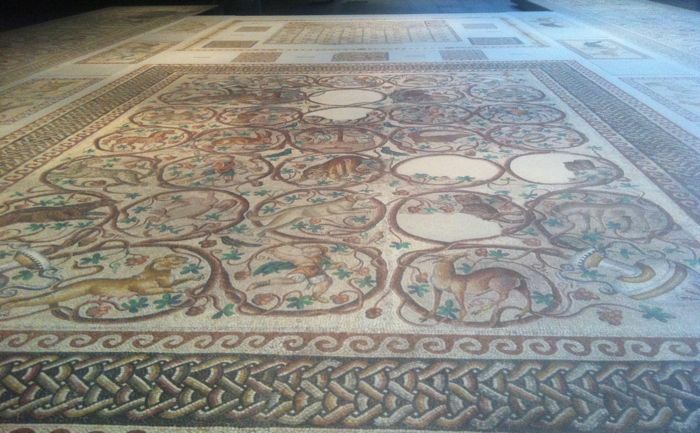 I was mesmerized by the mosaics' intricate depictions of the natural world. It's amazing to consider the painstaking process of arranging each mosaic piece, making the panels all the more brilliant. 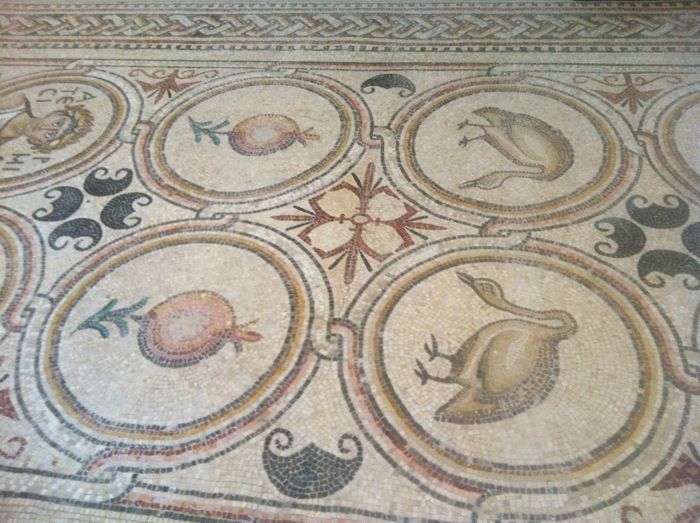 Since that visit, I have been positively OB-sessed with tiles and hope to include them in my own home someday. Thankfully there has been a spate of Turkish and Moroccan influences in interior design. 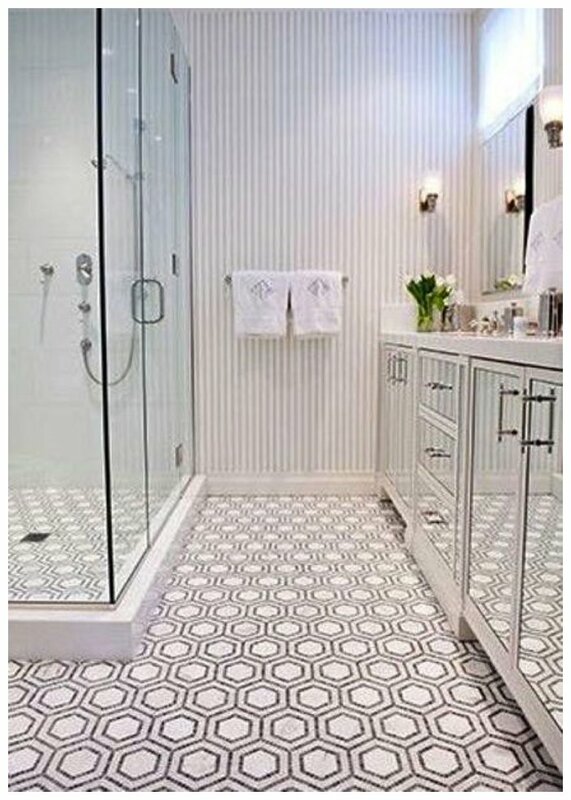 Whether it be backsplashes in kitchens or flooring in living rooms and bathrooms, I am dying for this Middle Eastern look. Ann Sacks and Urban Archaeology offer fantastic options. 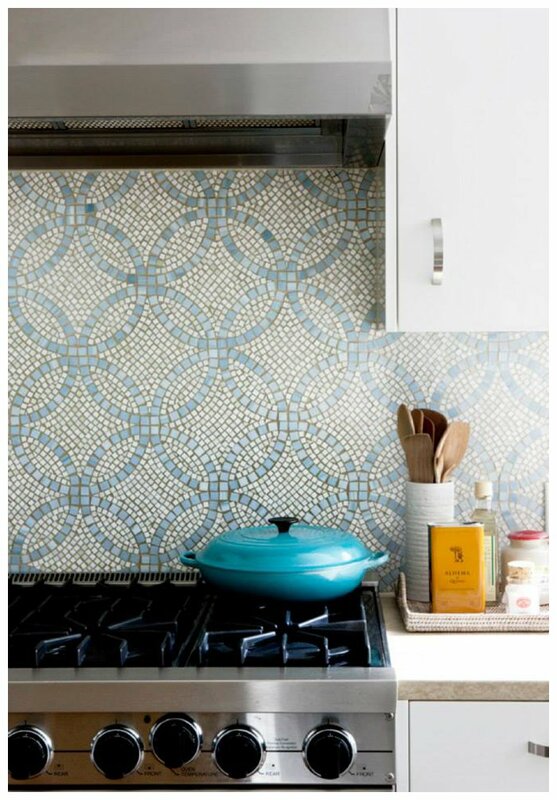 Can you imagine stir-frying vegetables in your kitchen with these beautifully intricate mosaics as your backsplash? I would be Martha-freaking-Stewart, cooking in the kitchen nonstop! Guest: Blah, blah, blah. Anne? Anne? Are you listening to me? Me: Um, no. Sorry, I'm staring at my ridiculously beautiful floor...again.